Andy’s education is in mechanical engineering, and mechanical engineering is his life. He works in a family business providing precision machined components for the aerospace, military and various industrial markets. Andy! 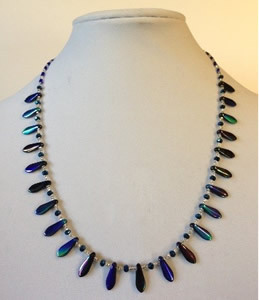 is an active member of the Gallery, teaching jewelry classes, offering ArtShare afternoons. When you see him at the reception, ask him where the exclamation point in Andy! came from! Stop by on May 1 – Enjoy the Art! Enjoy some Refreshments! Enjoy meeting many of the Gallery 200 Artists! “From Engineer to Artist” will be on display at Gallery 200 for the month of May.